Programming is one of the most important skills that you can learn if you want a good job. Nowadays, every single company is looking to bring onboard programmers who know languages such as SQL, Python, PHP, C++, and Java. However, you might be a bit confused about where to start if you want to learn how to program and get that lucrative job of your dreams. Keep reading down below to learn more about what the top programming languages on the market right now that will get you a great job that pays a ton. The first language that we’ve got to talk about is SQL, which is one of the most popular languages for those looking for jobs in programming. You pronounce this word like “sequel”, so make sure you know that before you start! The reason that this language is at the top of the job skills list is that it’s used in so many different applications. Databases that are powered by SQL are used in everything from large corporations to hospitals to small businesses to government offices. Pretty much everything that technology touches is going to be powered by SQL, so you’ve got to learn it! 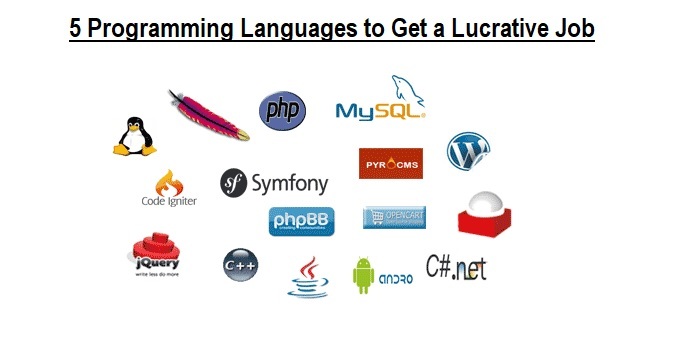 The next language that you absolutely have to learn in order to land a programming job is Java. Java is one of the most popular programming languages because it’s not too hard to learn and it’s used in so many different applications, much like SQL. This language is used by around 9 million different programmers worldwide, so the marketplace is pretty crowded at the moment. However, if you want a programming job, then you have got to start learning Java development. Python is another language that you should look into learning that’s pretty easy to learn and is general purpose. Thinking about it, Python is very similar to English, so it’s easy for anyone to learn who also speaks English. It’s one of the best languages that you can learn if you’re just starting up and you want to get on the road to becoming an expert programmer. There are tons of introductory courses online that you can choose from in order to start your journey towards being an expert at Python. This next language is used highly in web development, so if this is the kind of job you’re looking at getting, then you have got to learn PHP. PHP is mainly used during the creation of web pages. The great thing about this language is that it comes with a simple interface that’s super easy for novices to pick up. If you want to become an expert programmer, then you have got to start with learning PHP! If we’re talking easy and useful programming languages, then C is the way to go for any of you novice programmers out there. You can think about C like this – C is the easiest to learn and the best for novice programmers. However, if you master C and you want to move onto a tougher language, then you can try to pick up C++. If you are wanting to learn about game development and anything with audio/video, then you have got to start up with C.
When it comes to programming languages, then these are the ones that you’ve got to learn if you want a lucrative job in programming. Programming is one of the most popular skills to learn if you want to Make Money Online and Offline in today’s technological world. Make sure to try them out and you’ll be thankful that you learned them!